Got Junk to Remove from Your Property? Have you got junk? If you’re like many Sydney residents, you probably have several items around your house that are unused, unwanted and need to go. It’s a problem that can sometimes go ignored for a long time, it’s easier not to have to think about how to go about removing the junk you’ve got. 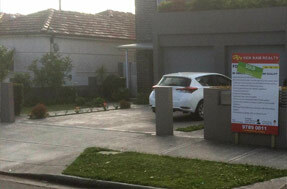 Luckily, you’ve found a solution to your rubbish problem, and it is right in front of you – Same-Day Rubbish Removal. 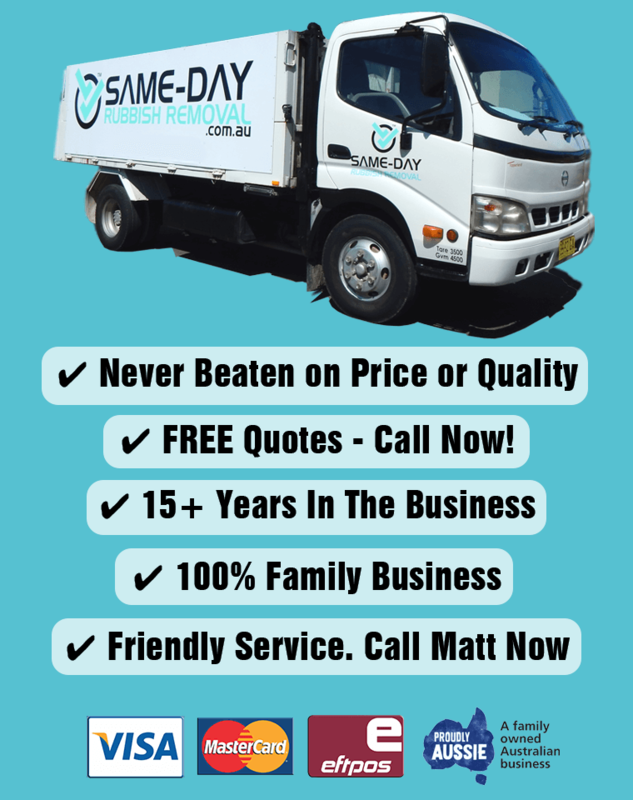 Our team specialise in removing troublesome waste items from homes and businesses across Sydney, and we offer the easiest, cheapest and fastest service you’ll find. When you find yourself saying something like “I’ve got junk everywhere!”, think of Same-Day Rubbish Removal, we can help you out so that you won’t have to worry about it anymore. 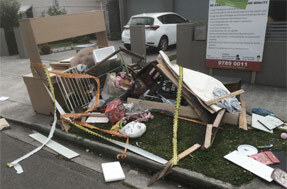 Call our team today for fast rubbish removal. We don’t have a 1800 number, but that doesn’t mean we’re a small business – we’ve got trucks ready to go all around Sydney (1800 numbers end up costing our customers more!). Our friendly team at Same-Day Rubbish Removal have definitely got junk removal experience, but we also care for and know a lot about the environment. New South Wales, as well as most of Australia, has got junk problems that need to be addressed. According to the EPA, the average person in NSW produces over 9 kilograms of waste a week. If you take an average sized family of four, that comes to around 1800 kilograms produced in a household every year. That is a lot. Over the years we’ve seen an increase in the amount of waste that Sydney residents are disposing. This has been a great concern to our team, and we’ve done everything we can to respond. Fortunately, Sydney has recycling centres in many locations and we do everything we can to make sure as much of your waste as possible is taken to these places to be recycled. You can trust our team to deal with your rubbish responsibly. We've Got Junk Removal Trucks Ready to Go!